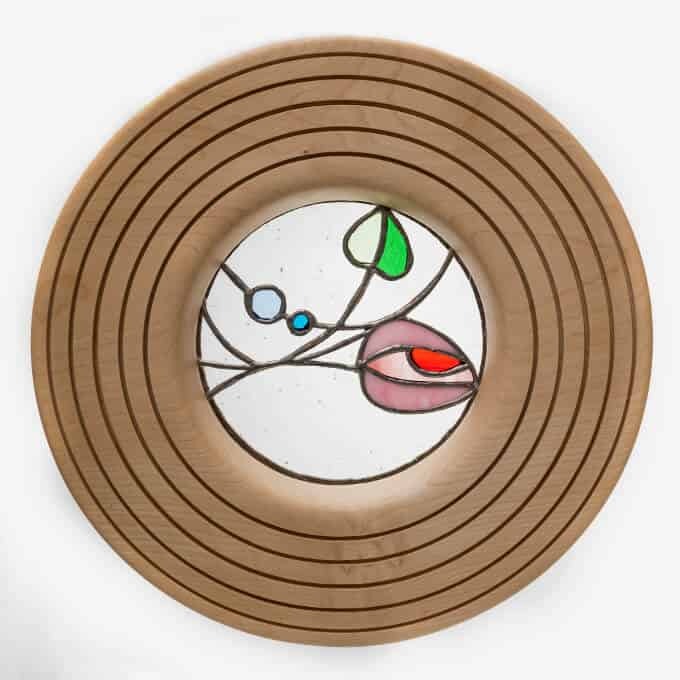 Just as Mackintosh emphasised both functionality and aesthetics in his designs, Furniture Designer and Wood Turner Anna Nichols’s designs fulfil both requirements. 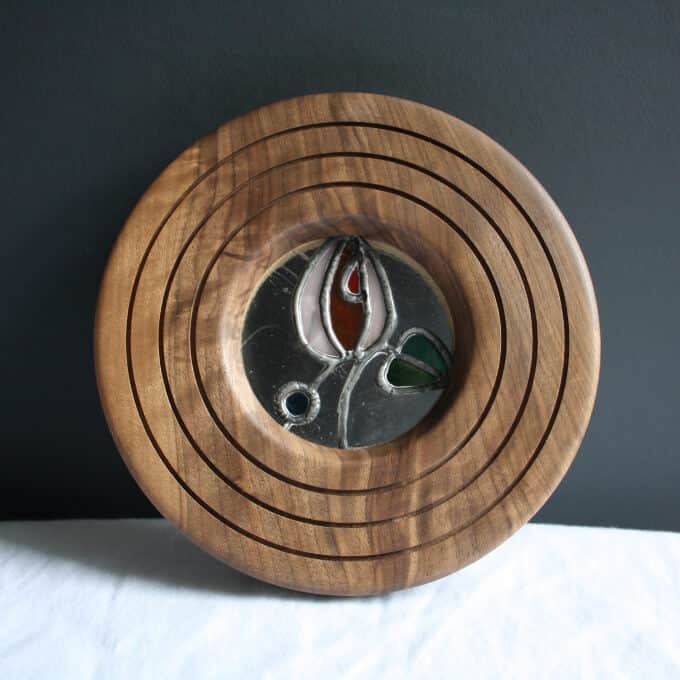 Anna designed a trivet, a practical household item. 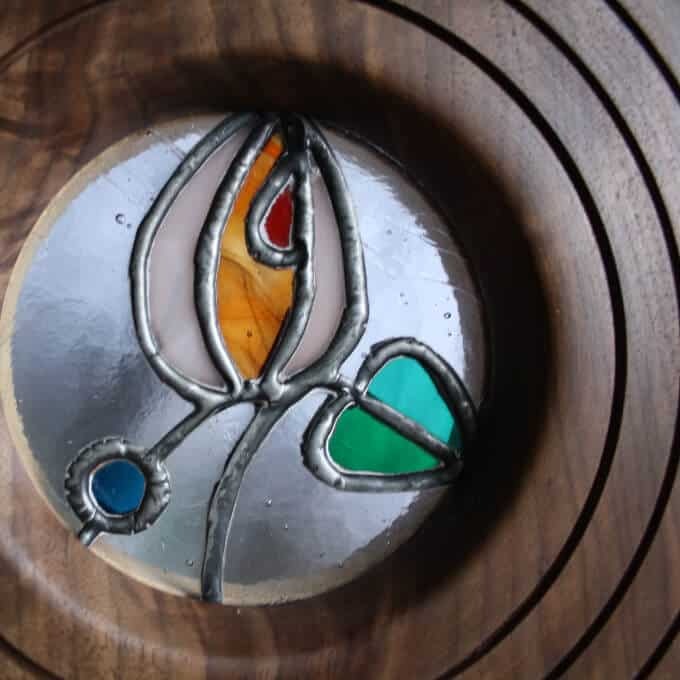 Working with glass artist David Mola, Anna incorporated Mackintosh’s rose motif and penchant for glass focal points into the design. Care instructions: Wipe gently. Do not soak. Dimensions: Medium approximately 200mm wide; Large approximately 300mm wide. Please note, these pieces are all made by hand and some variation will occur.